Site migration is without a doubt a very important stage in the life cycle of a website. You have to pay attention to many details in order to keep your SEO machine running and to avoid damaging anything. Site Audit, SEMrush’s unique multi-tool for technical SEO, now provides you with everything you need to relocate your site safe and sound. But there’s more. Site move is a very complex process and you’re going to need a good checklist to keep everything under control. 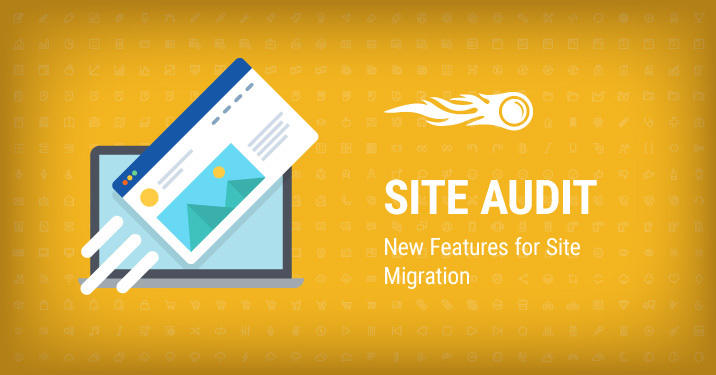 Following the recommendations of Google, we have developed a complete site migration checklist for each type of site migration with tips from the top SEO experts. You can use it along with SEMrush tools. Check it out! Now let’s take a closer look at the new Site Audit features. We’ve added an option to export the Crawled Pages report data, taking into account filtering and sorting applied. You can also export relative URLs instead of absolute ones. We’ve added a new option for indicating a crawl source – List of URLs. The tool works with both absolute and relative URLs. You can now upload your list using .txt or .csv formats from Google Analytics, Google Search Console, Backlink Analytics, or Position Tracking. A file, which we’ll crawl all URLs (based on your limits) from, should be less than 100 Mb. It’s now possible to crawl your site with Site Audit if you have to protect it with a password and login for security reasons. Previously, it was impossible to crawl a site, closed to robots.txt file. From now on, you can easily crawl your site after confirming your rights to it (as we’re concerned about the legitimacy of the robots.txt circumvent). What do you think of this update? Your comments, thoughts and ideas are priceless to us. Please send them to [email protected]. We would also be very grateful if you could take this survey. It will make our products even better!